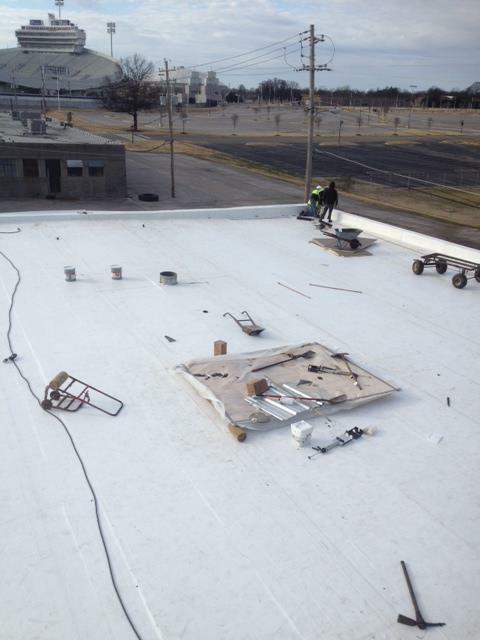 Tore off existing roof system down to the concrete deck and installed a tapered polyiso system using an adhesive. 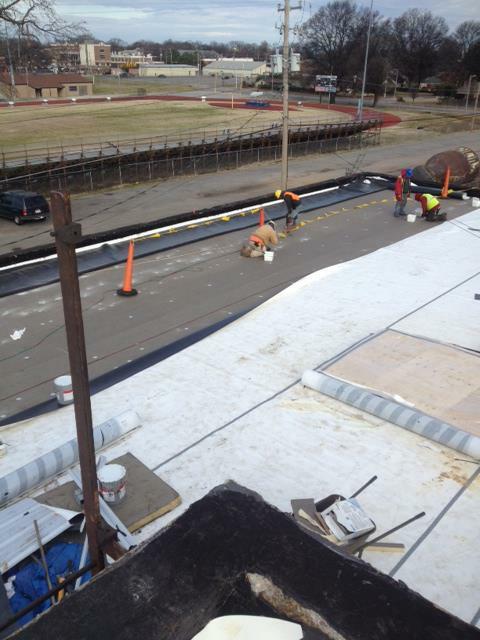 Additional scuppers were installed and existing scuppers were made larger. 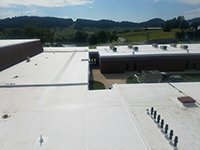 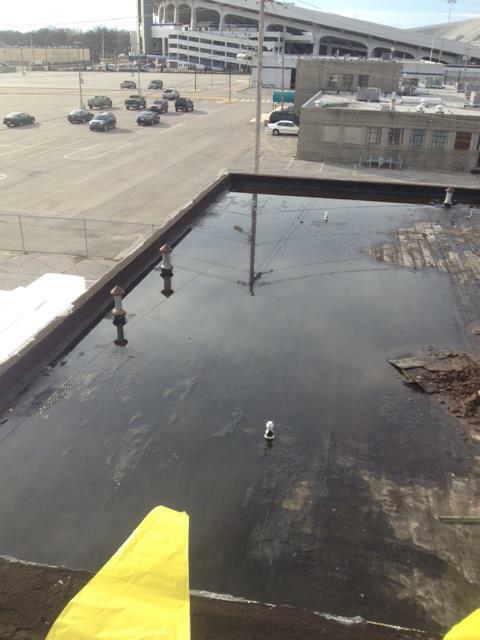 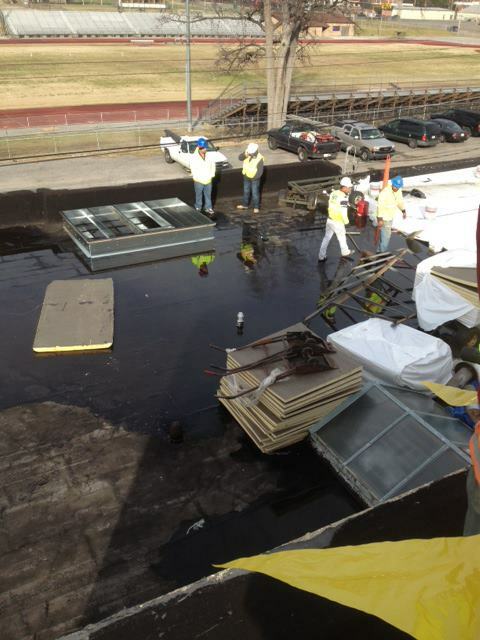 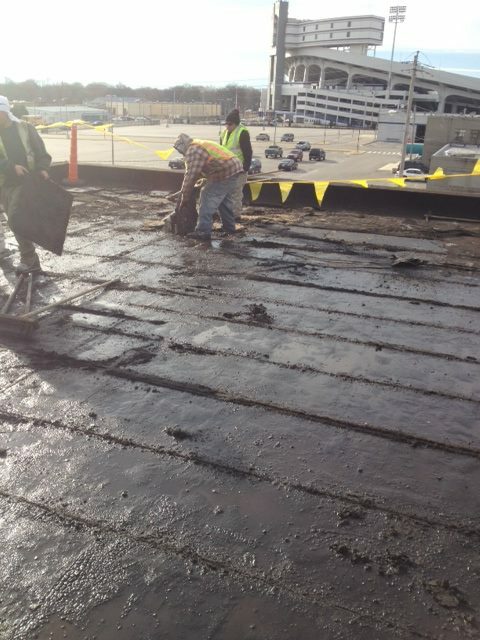 A 60 mil TPO fully adhered roof system was installed and a manufacturer 15 year “No Dollar Limit” warranty was provided. 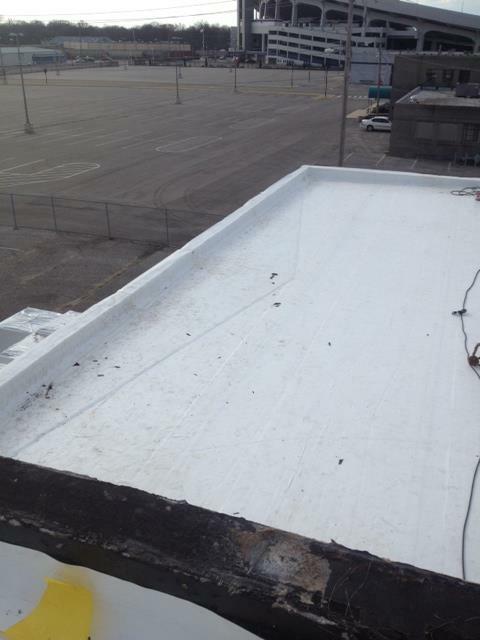 The TPO was brought up and over the CMU wall and attached with termination bar to extend the warranty over the wall as well.